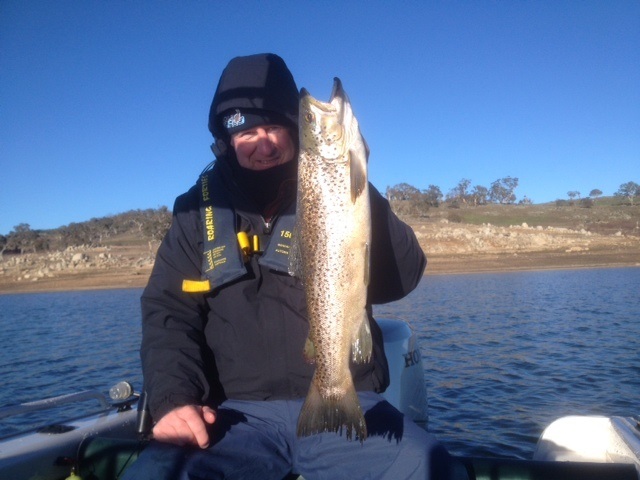 Hi guys, a mate of mine and myself are up from Melbourne again to have a Winter fish at Buckenderra. 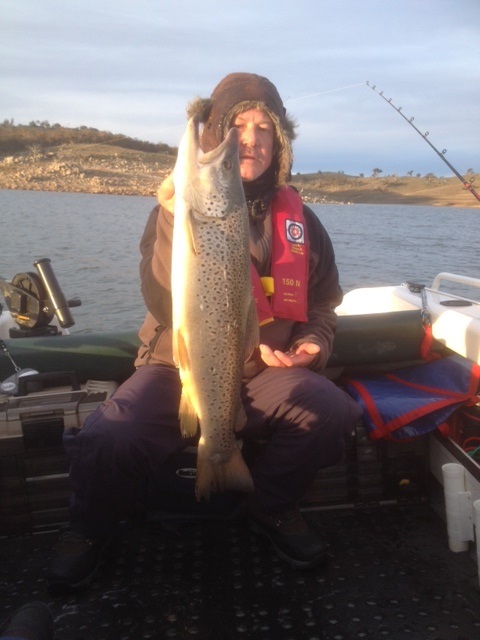 Conditions were against us yesterday for trolling, but managed to make up for lost time today with some excellent fish (6 in total). The biggest an awesome 8lb + brown. 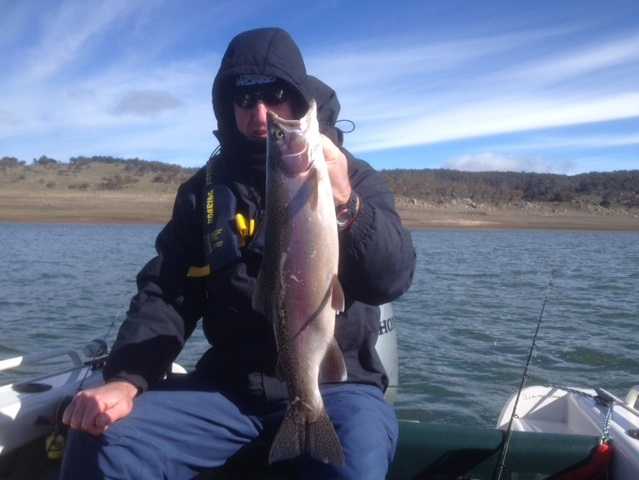 In addition we got a couple of others around 5lb including a nice rainbow. Now looking forward to the rest of the week. Regards, Stuart Gilchrist.